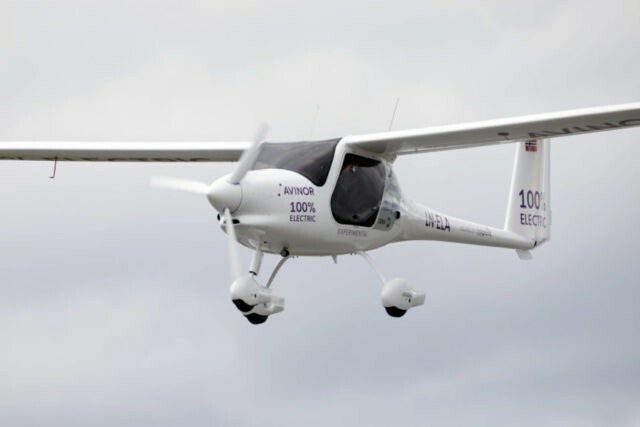 COPENHAGEN, Denmark (AP) — Norway’s transportation minister and the head of the Scandinavian country’s airport operator took off Monday for a short flight … aboard a Slovenian-made two-seater electric airplane. Dag Falk-Petersen, head of Avinor, sat at the commands of the white Pipistrel Alpha Electro G2 while Ketil Solvik-Olsen sat in the passenger seat. They took off from a remote corner of Oslo Airport for a brief journey in the gray skies. Norway aims to be 100 percent electric by 2040 for all short-haul flights. Avinor, which is responsible for the country’s 44 airports, has bought the electric aircraft used Monday. The operator plans to launch a tender offer to test a commercial route flown with a small electric plane with 19 seats, starting in 2025.